Currently, as anime movies come over to the US and Canada they are usually very limited theatrical releases, DRAGON BALL SUPER: BROLY is no different, but the turnout was much larger than expected opening day says Cartoon Brew. 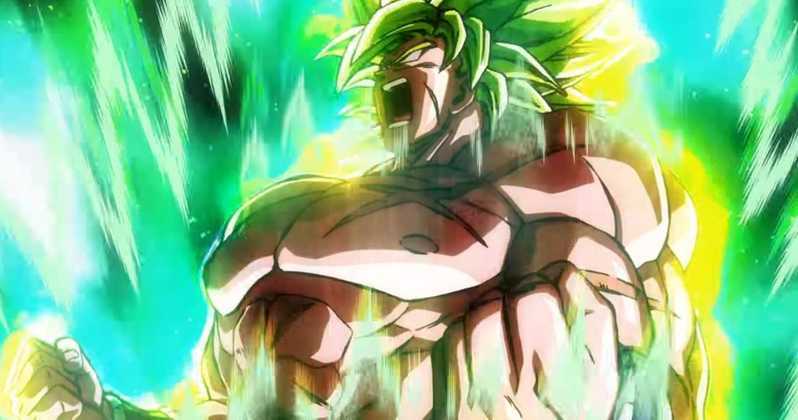 BROLY brought in a $7 Million to the box office. This is a new record for Funimation Films. This is a substantial leap from the last record set by DRAGON BALL Z: RESURRECTION F of $1.97 million back in 2015. It was just released yesterday, January 16th 2019. Internationally it has already grossed $57 million. Though BROLY was released on a Wednesday, it did better than MARY POPPINS, INTO THE SPIDER-VERSE, THE UPSIDE, and BUMBLEBEE combined that day. This is also a huge success for FUNIMATION, a growing monster in dubbed anime. While $7 million may seem kind of pathetic compared to the opening days or weekends something like SPIDER-MAN: INTO THE SPIDER-VERSE, it has proven that the demand for anime in English speaking countries is growing exponentially. Especially if it is DRAGON BALL. Better watch out movie geeks, this isn’t even the weeboos’ final form.